You never know what you are going to find under a rock. A group of children and I were flipping rocks, when I spotted a lone queen ant. I picked it up, thinking I would show it to the children under the microscope. Under closer inspection, it turned out to be a bit of a surprise. 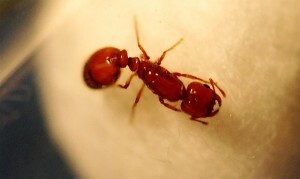 I knew it was a native fire ant queen, genus Solenopsis. The clubbed antennae are easy to see. Without really looking at it, I figured it was probably Solenopsis xyloni, a common species here. 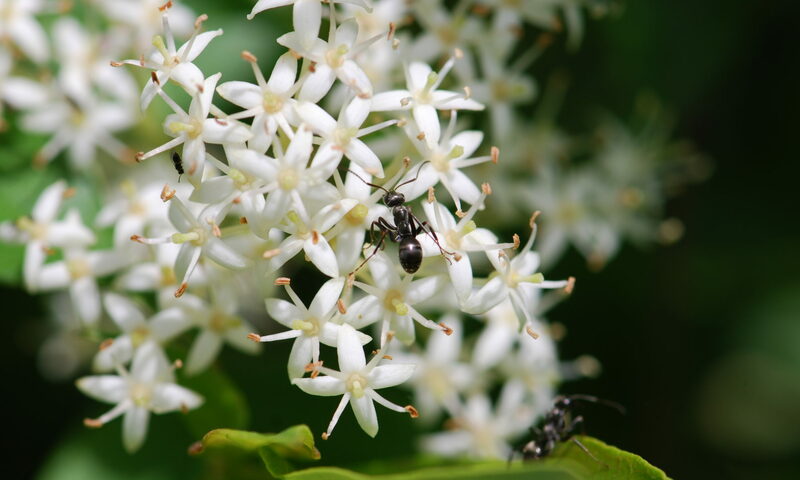 A closer look, however, let me know this was a less common fire ant. If the lighting was better, you could see it is a golden butterscotch color, more like the first photograph. 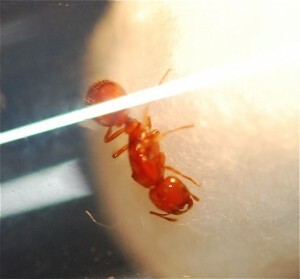 It is possible the queen is the golden fire ant, Solenopsis aurea, but I think it is Solenopsis amblychila. In any case, it is a new discovery for me. I couldn’t find out much about the species. Have you ever seen them? Taking kids outdoors to explore nature often pays off in more ways than you’d expect.